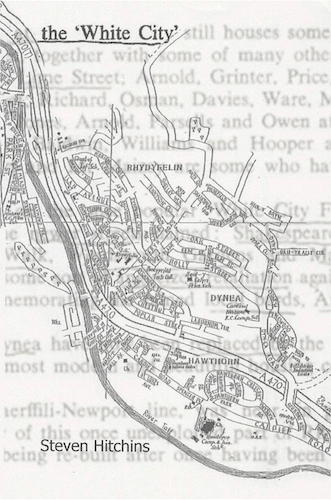 Steven Hitchins’ the White City is a participatory sensing expedition that allows readers to explore the streets of Rhydyfelin, a suburb of Pontypridd in the South Wales valleys. The book comprises two dimensions: a guidebook or map towards a group expedition into the city and a book-based installation documenting the expedition that has yet to take place. Documentation as a starting point rather than an end result: before the work is finished, before the poem is begun. Thus prepared we enter the streets, in search of the White City.